"Detox" has become a relatively common term these days. Everywhere you turn, you hear about celebrities doing a "cleanse," and numerous books on the danger of toxins continue to proliferate. In the past two decades, the word "detox" has taken on a much broader meaning other than its traditional reference to withdrawing from drug and alcohol use -- now we know it as assisting the body with the removal of everyday toxins. That's right -- the "run-of-the-mill" things that we eat, drink, and breathe can affect how the body functions. In fact, the medical literature continues to support the growing association between exposure to popularized toxins such as heavy metals (e.g., mercury, arsenic, lead), exogenous hormones (e.g., recombinant bovine growth hormone and synthetic estrogens), and industrial plasticizers (e.g., bisphenol A) and the rising incidence of neurobehavioral, reproductive, and musculoskeletal diseases -- everything from attention deficit disorder to autism to infertility to fibromyalgia. It has been estimated that there are over 80,000 chemicals presently used in the United States, with some of them not extensively tested for their effects on human health (1). More than five decades ago, toxins weren't as visible on our medical radar. Increasing recognition came after the launch of Rachel Carson's book titled Silent Spring (1962), in which she pointed out the detrimental effects of modern pesticides -- compared with what was used in the past, they are significantly more potent, slowly decompose, and concentrate in fatty tissue. She stated: "For the first time in the history of the world, every human being is now subjected to contact with dangerous chemicals, from the moment of conception until death." And, indeed, the entire span of one's life is vulnerable to these effects, especially the unborn, young children, women of all ages, especially pregnant women, and older adults. If an individual has a depressed immune system, such as a cancer patient undergoing chemotherapy, they may be even more risk. It has been proposed that the skyrocketing rates of infertility, certain cancers, and precocious puberty is connected to exposure to environmental toxins, present in everything from plastic baby bottles, metal food cans, detergents, flame retardants, food, toys, cosmetics, and pesticides. Furthermore, some toxins are thought to play a role in metabolic disturbances such as insulin resistance, obesity, and Type 2 diabetes, which is why these disrupting substances are even referred to as "obesogens" (2). It's best to begin any type of cleansing program by first ensuring that the intestines are in good shape so that you can excrete toxins without difficulty. Many patients find it unusual when I ask them about their bowel habits; however, removal of toxins is of utmost importance. Constipation would seem to lead to toxin buildup -- the longer it takes for the body to remove toxins through the bowel, the greater the possibility that they will be reabsorbed into the systemic circulation. Normal bowel movements are at least once a day in the form of soft, well-formed stools. One food-based ingredient that keeps you regular is the fiber. It not only "traps" toxins within its matrix, but also assists with generating movement in the intestines so that toxins are promptly eliminated. Good sources of fiber come from legumes, non-starchy vegetables, beans, fruit, seeds, nuts, and flaxseed meal. Black bean soup is an excellent lunch or dinner selection for helping you to get your daily dose of fiber. Otherwise, choose a dietary fiber supplement -- psyllium, cellulose, oat fiber, and rice bran, to name a few -- to add to your daily routine to ensure that you are getting sufficient amounts of fiber. The general recommendation for fiber is about 25 to 30 grams daily for women and 30 to 35 grams daily for men (3). When it comes to the emotional aspects of the gut, think about the outdated emotions you have stored inside and now need to "excrete." Make a list in a journal and come up with safe ways to release or replace toxic emotions you have held within. Deep breathing is an example of one way to not only rid the lungs of stagnant air and contaminants, but also aid in moving the gut. When we breathe in deeply, the diaphragm moves down gently, massaging our intestines, and when we exhale, we create space in the gut area, allowing waste to move through us. Deep, belly breathing creates relaxation and peace of mind, keeping you in the present moment. If we aren't excreting toxins in our stool, they could end up in our urine and sweat, which is why drinking adequate water is an imperative for healthy detoxification. Fiber works best with fluid, and being properly hydrated allows toxins to move in and out of cells freely. Monitoring your fluid intake by the color of your urine is one method to assess your hydration status -- if it is dark to medium yellow, you may need more water. Please note that certain vitamins, such as the B vitamins, may also darken the urine, giving the perception that you need more water. A general guideline for fluid intake is just a little over 2 liters for a 70 kg person (5). Ensure that you drink purified water throughout the day (not just at meals) in a non-plastic container, preferably glass or stainless steel. If you find yourself becoming bored by water, add fresh slices of orange, cucumber, and/or strawberry to give it a fruity taste. Another way that water is important in detoxification is by sweating. If possible to spend time in a sauna (preferably an infrared one), you can maximize toxin excretion through the large surface area of your skin. Please note that you want to check with your health care provider if you have high blood pressure, cardiovascular disease or if you are pregnant before using a sauna. Don't forget to rehydrate your body after your sweat with water in addition to important electrolytes such as potassium and magnesium. Aside from the physical aspects of water washing out physical toxins, the water element represents emotions and creativity. During your detoxification, think about the tears you have yet to release and any sadness that you are holding within your cells. Tears are thought to help our bodies release inflammatory cytokines. In one clinical study by Dr. Ishii and colleagues at the Nippon Medical School in Tokyo (6), they showed that being easily brought to tears is associated with a better response for the immune and neuroendocrine systems, specifically for patients with rheumatoid arthritis. Also, engage in creative activities so that your emotions can be expressed -- some of my favorites are listening to music, singing, painting, dancing, and photography. Let the emotional and creative juices flow! The liver is the classic "hub" of metabolic detoxification and acts as the head of the army of attack against toxins. There are two phases by which toxins are cleared by the liver -- the first phase makes the toxins more water soluble and the second phase packages them up so they can be excreted from the body. It is important that phase II enzymes are working efficiently because the phase I compounds can often be more chemically toxic to the body compared to the form they were in when they started out. Some people have an overactive phase I system in their liver and an underactive phase II process. The variability in phase I and/or phase II could be due to genetics, in addition to a lack of the nutrients and other actives that help these pathways perform efficiently. One of the basic requirements for these enzymes is protein, which is why a juice or water fast may impede effective liver detoxification. High-quality, hypoallergenic protein such as rice protein with added amino acids is one example of a protein source that can provide the raw materials to get toxins packaged for their exit out of the body. There are other substances in the diet (and/or dietary supplements) that can help streamline the processing of toxins through the liver, with some of my favorites being green tea, curry, and cruciferous vegetables. Epigallocatechingallate, otherwise known as EGCG, found in green tea, can assist with boosting phase II enzymes, as well as providing antioxidant protection against phase I metabolites. Drinking decaffeinated green tea throughout the day is one way to get your EGCG, and if you don't like to drink green tea, you can always look for a quality supplement that contains this protective compound. Another powerful substance for liver detox is curcumin, the active compound of the yellow root, turmeric, which is used in Indian curries. Curcumin is an anti-inflammatory substance that balances phase I and phase II activities. Don't be afraid to add the yellow-punch of curry to your favorite stir fries for flavor and for enhancing the detox ingredients of your meal. 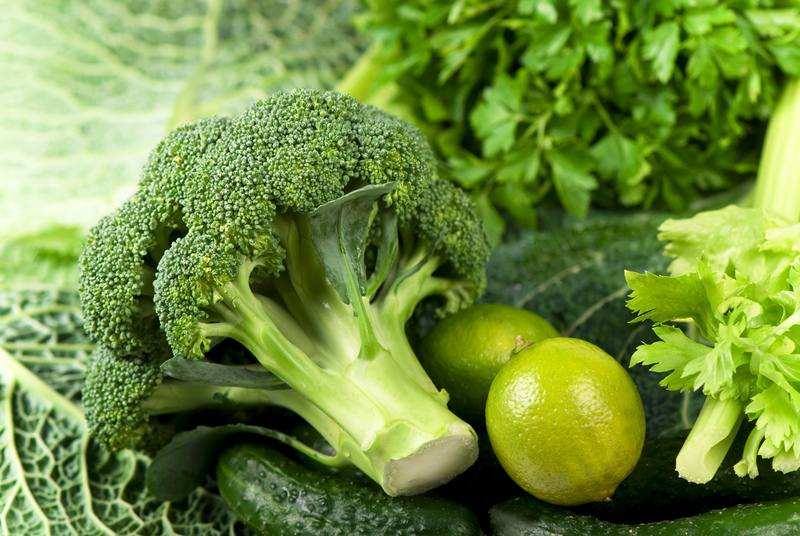 Lastly, my favorite foods for supporting liver detoxification are cruciferous vegetables like broccoli, kale, and Brussels sprouts. Ensure you get at least one serving daily, like steamed Brussels sprouts, oven-roasted kale leaves, or a mixed green spinach salad topped with broccoli sprouts. When it comes to emotions, traditional medicine would say the liver is about action, which is why anger is often associated with this organ. Anger is simply a "call to act." It is a catalyst that wants us to change something or make a statement about our boundaries. As you put your focus on liver detoxification, note the presence of anger in your life -- do you express it or stuff it within? Find ways to vent your anger that are healthy rather than just reacting in a volatile way. In summary, detoxification is an essential process for most individuals nowadays due to the increased toxic burden we carry. There are ways that we can make the most of our daily detoxification through foods and drinks that assist in the functioning of the gut and liver. Whether you eat foods for daily detoxification or undergo a targeted, more intensive program with a healthcare professional, approach it in a holistic way, including the emotions together with the physical body. (2) Janesick A, Blumberg B. Endocrine disrupting chemicals and the developmental programming of adipogenesis and obesity. Birth Defects Res C Embryo Today. 2011 Mar;93(1):34-50. doi: 10.1002/bdrc.20197. Review. (5) Dietary reference intakes for water, potassium, sodium, chloride and sulfate. Institute of Medicine. http://www.nal.usda.gov/fnic/DRI//DRI_Water/73-185.pdf. Accessed March 2, 2010. (6) Ishii H, Nagashima M, Tanno M, Nakajima A, Yoshino S. Does being easily moved to tears as a response to psychological stress reflect response to treatment and the general prognosis in patients with rheumatoid arthritis? Clin Exp Rheumatol. 2003 Sep-Oct;21(5):611-6.